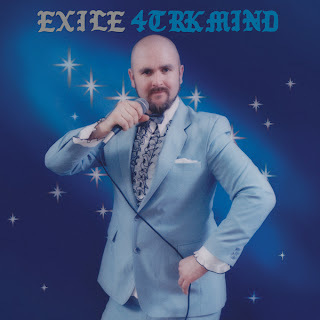 Exile - 4TRK Mind coming 4th October, 2011. Exile's first solo album on the Mic! Has to be one of the funniest covers I've seen in a long time. Exile, the LA producer responsible for Boy Meets World with Fashawn and the often praised Below The Heavens with Blu; is finally stepping up to the mic and releasing his debut album as an emcee. Of course, Exile has had two solo releases already in his career with 2006's Dirty Science and 2009's Radio. 4TRK mind will still be produced by Exile, who apparently sampled records from his Father's collection for this release. This won't be Exile's first attempt at rapping, he's already been featured alongside Blu and Blame One in the past. Looking forward to this release, even if Exile can't deliver on the mic, any 16 produced songs from him are worth a cop! I think Exile has got skills, hearing him with Blu & Fashawn, You CANNOT fault his beats, im yet to hear a below average beat from him..